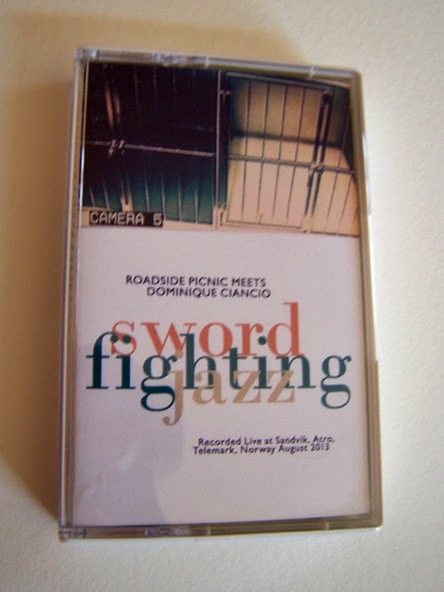 In no way does this cassette let me down, as Roadside Picnic is one of my current favorite musicians, and when you have a title such as “Sword Fighting Jazz” to live up to, you better make sure that your tape truly is most excellent. 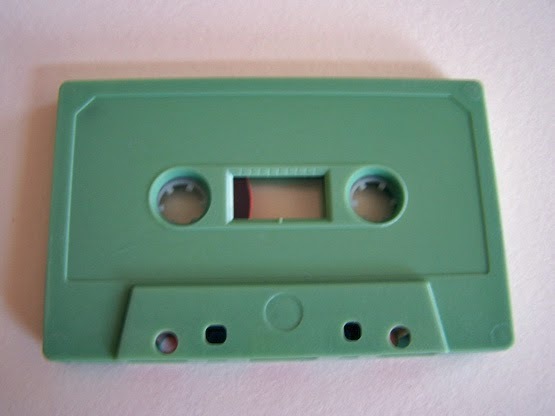 These crazy improve-sounding songs bring out a lot of the experimental side of things mixed with the rattles and clunks of a tornado blowing through a large kitchen. They are sporadic and eradic, filled with melody, rhythm and funk. 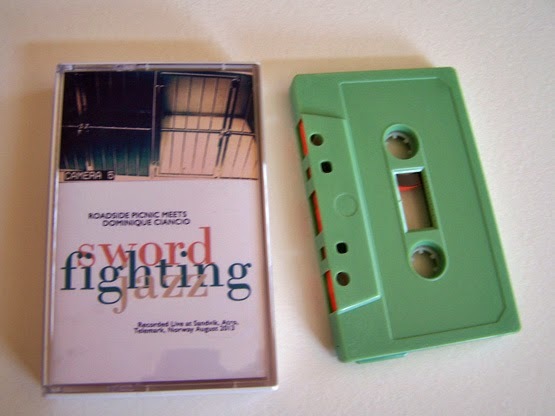 What I had to wonder though was whether or not these songs actually do bring to mind the idea of swords fighting with jazz somehow. 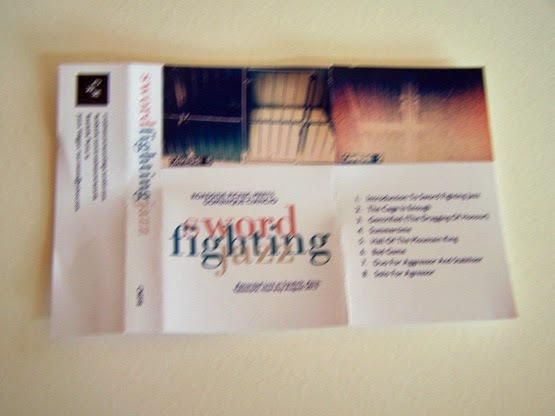 If you can imagine a sword being alive, perhaps with a face, but otherwise retaining the same characteristics it already had (the weight, the sharpness) and if you can then picture that sword trying to play a saxophone in a contest against another similar sword with a saxophone, then yeah, that could be kind of what this sounds like. I just really enjoy it a lot, regardless of how it is pegged.